Regarding Tibhar rubbers, there is a large range of products available. It is, therefore, very hard to keep the complete overview, even for experts. The following table of table tennis rubbers from Tibhar aims to help you with that issue. This table provides all manufacturer specifications. The following table contains all common Tibhar table tennis rubbers. In the following table, we put much emphasis on relevant manufacturer specifications, such as speed, spin, control, and prices. Of particular interest is the specification regarding the hardness of the sponge of the Tibhar table tennis rubbers. In terms of this, the manufacturer provides very good information. Based on those information, the process of selecting an appropriate rubber is way easier, and constitutes a reasonable fundament. We wish you lots of fun, and good luck while doing your search. The fields of Tibhar rubbers filled with green are directly available at tt-shop.com. For the other fields, please contact us via email. SPI-System: This technology was especially developed by Tibhar, and is a "Speed-Glue-Effect Inside System". Because of this technology, speed-gluing can now be considered as history! 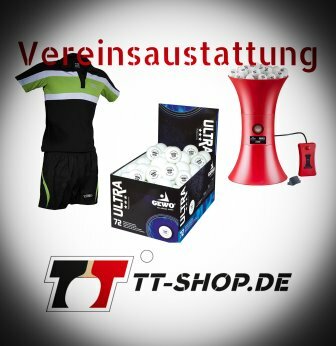 The properties which were a MUST GO for every professional player at that time (spin, speed, incredible feeling for the ball, and sound), are now already integrated in all Tibhar rubbers - pre-installed at factory! Optra-Technology: By means of the Optra-Technology, the spin is further increased, up to a maximum! Every available kind of impact energy is converted into speed. You can give much rotation with every stroke you do. Consequently, this significantly stabilizes the trajectory of the ball. Clear-Technology: This innovative technique reduces the diameter of the particles of the chemical reaction used for the Tibhar rubbers. Consequently, due to the precise and improved vulcanization process, the dynamics and durability of the rubbers is clearly improved. The surface appears crystal clear, but is actually highly catchy! Red Power Sponge: Tibhar rubbers equipped with the Red Power Sponge technology are still the most popular rubbers at all. The Evolution series is a guarantor for maximum capability, and maximum efficiency. Other characteristics of Tibhar rubbers are the improved feeling and precision when doing passive strokes, and an increased ball-contact-time when doing topspin openers. Regarding active moves, you can trust on full power. The catapult effect of Tibhar rubbers exhibits just the right dose and intensity! PRO TENSION: The biggest advantage of the surface of Pro Tension rubbers is that they can generate an enormous amount of spin. Years of research resulted in the development of a stable, spinny, and elastic topsheet. Synt Efficiency: This effects means that there is a larger development of catapult-like effects, and dynamics. This technology was particularly developed in order to satisfy the changed trajectories and rotation properties associated with the new plastic balls. Tibhar rubbers - What product line suits me? Tibhar offers more than 40 table tennis rubbers, an impressive number! Starting from allround rubbers (suitable to improve und refine various techniques, and to master the safe game based on blocks and counters), rubbers for the OFF- gaming style, through rubbers suitable for the uncompromising offensive style - Tibhar has them all! Defensive Tibhar table tennis rubbers: Purely defensive rubbers are e.g. the Tibhar Super Defense 40, and its softer version: The Defense 40 Soft. Please keep in mind that the sponge thickness plays an important role! By means of this version (the thinner, the more control) you already gain much feeling for the game. Typical allround rubbers from Tibhar: The most frequently sold Tibhar allround rubber is probably the Vari Spin. It is suitable for almost all gaming techniques, so there is nothing you can do wrong when using this rubber. Similarly, with respect to sponge thicknesses, there are many possibilities. 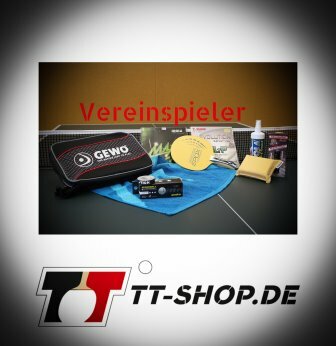 Further product series appropriate for the allround gaming style are: The Vari Spin DTecs, Speedy Spin, or Volcano (see our table of Tibhar rubbers). Tibhar rubbers for the controlled offensive: Suitable for the controlled offensive are all attacking rubbers with 1.8 or 2.0 mm (sponge thickness). The soft versions Evolution FX P, Genius, and Aurus Sound should also be suitable, provided you use the maximum sponge thickness. Note, however, that the thicker the sponge, the less control. So be careful and aware when selecting these rubbers. Our recommendation are the Genius, Aurus, or the Evolution series (take sponge thicknesses into account!). Tibhar rubbers for the uncompromising offensive: Of course: The harder and the thicker, the faster. Consider, however, that you need much experience, and a very good feeling for the ball in order to be able to control rubbers like the Evolution MXP, MXS, or the Genius Optimum (these are the rubbers we recommend for the uncompromising offensive gaming style). No matter what Tibhar rubber you might choose, one rule always applies: Never under- or overestimate yourself! Always be honest and sincere to yourself when assessing your own skills, properties, strengths, and weaknesses. To help you with that, you can ask club mates, your coach, or your "dealer" of trust. 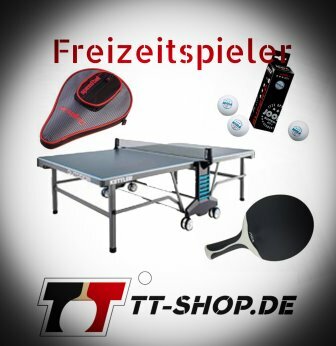 In case there are any questions left unanswered, just contact tt-shop.com via email. We are very happy to answer your questions!